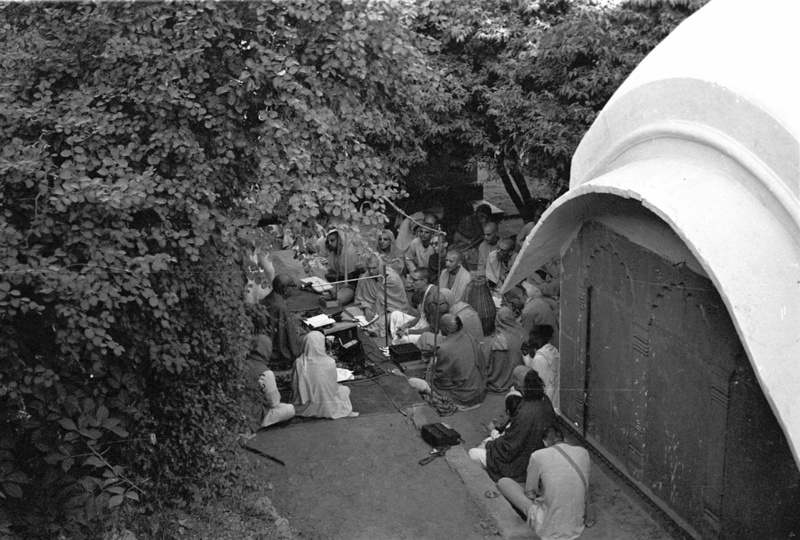 This is a classic photo from the early days of the Hare Krishna Movement in England. …So if we are serious, if we actually want to be happy, we must take to the cultivation of spiritual understanding, an understanding of Krsna consciousness. Of course, in every country of the world there is some religious system, some system for understanding spiritual life. But unfortunately, almost nobody is interested in spiritual life because people have been induced to become addicted to material, or sensual, activities. They are going further and further away from spiritual life and becoming more and more confused. Disappointment is rising all over the world. So to mitigate this disappointment and confusion, one has to take to Krsna consciousness. Try to understand the philosophy of Krsna consciousness, and act accordingly. Then you will be happy. An address given in September 1973 (upon arriving for his first visit in Stockholm). Thank you very much for kindly receiving me on this first visit of mine to your country. 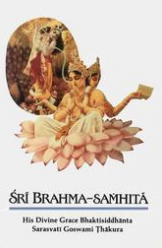 The Krsna consciousness movement is gradually spreading all over the world, but it is a little difficult to understand the purport of this movement because it is completely on the spiritual platform. Generally, people do not understand what the spiritual platform is. But it is quite simple. Every one of us every living being is a combination of two things: matter and spirit. Matter we can understand, but on account of our long association with matter we cannot understand what spirit is. …As soon as one understands his identity, his relationship with God, then immediately he becomes happy. We are so full of miseries because we have identified ourselves with the material world. Therefore we are unhappy. Anxieties and fearfulness are due to our misidentifying with the material world. Today’s subject matter is our relationship with God. That is self-realization. 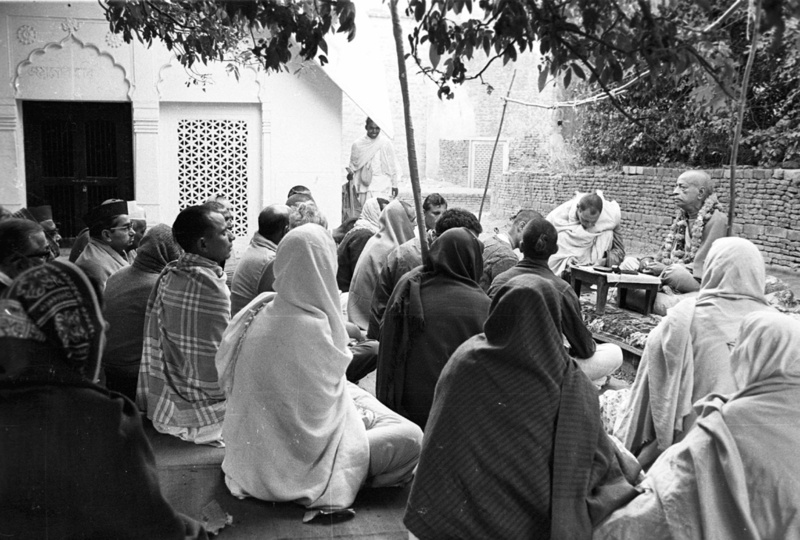 The sankirtana movement is the easiest process for self-realization because it cleanses the heart. Our misunderstanding of our identity is due to the dust covering the mirror of the mind. In a mirror which is covered with dust one cannot see himself. But if it is very clear, then one can see himself. So meditation is a process for cleansing the heart. Meditation means to try to understand one’s relationship with the Supreme. I am saddened by my feeling of separation from you, that I will not see you again on this planet, yet I still feel close to you. Our relationship transcends material boundaries and You are in my, and many peoples hearts. Let us all pray for your continued spiritual journey, which makes me happy, as you are not in pain anymore, and with our beloved Spiritual Master, and Radha and Krishna. I fell in love with you upon viewing your powerful presence. I fell in Love with you, little did I know what A great path you carved out and offered to me, for you introduced me to Prabhupad. I noted your great qualities, spiritual beauty, perseverance, a great confidant and friend. Steadfast, curious, sweet, meticulous, detail oriented, and expert in anything you were interested in. Your smile lit up many rooms and hearts. You showed love for Prabhupad from the very beginning. 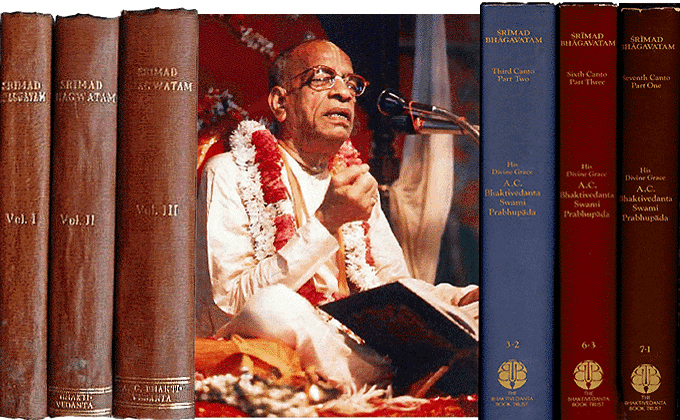 His Divine Grace Srila A.C. Bhaktivedanta Swami Prabhupada, the foremost preacher of Krsna Consciousness in the world, first came to live in Radha Damodar Temple in 1959 after accepting the sannyasa order of life. 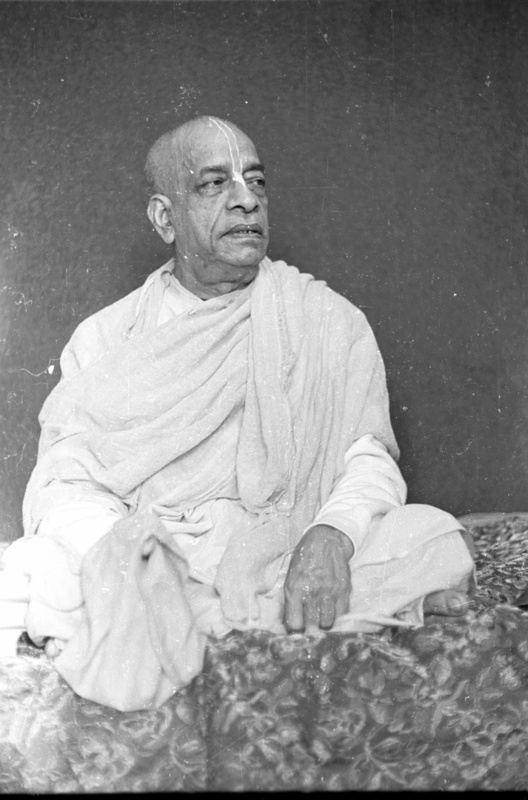 The sevaite of the temple, Sri Gaurachanda Goswami, approached Srila Prabhupada and invited him to come and live there since it was the eternal home of Srila Rupa Goswami and Srila Jiva Goswami. 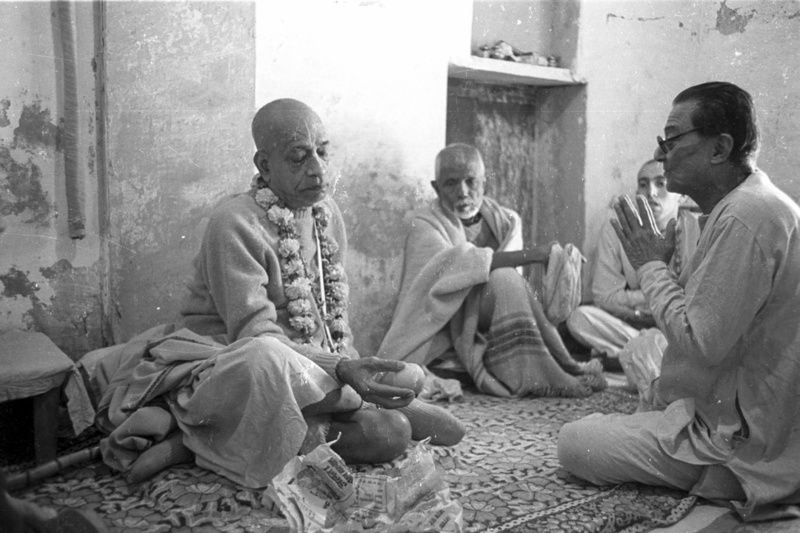 Srila Prabhupada took two rooms, one that acted as a kitchen, the other as a study where he would write. 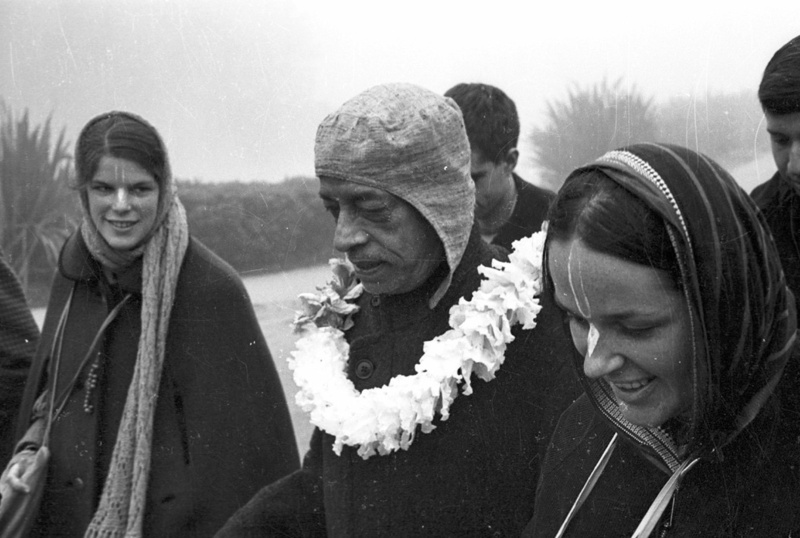 In the early morning at Radha Damodar Temple, Srila Prabhupada would write and chant japa. 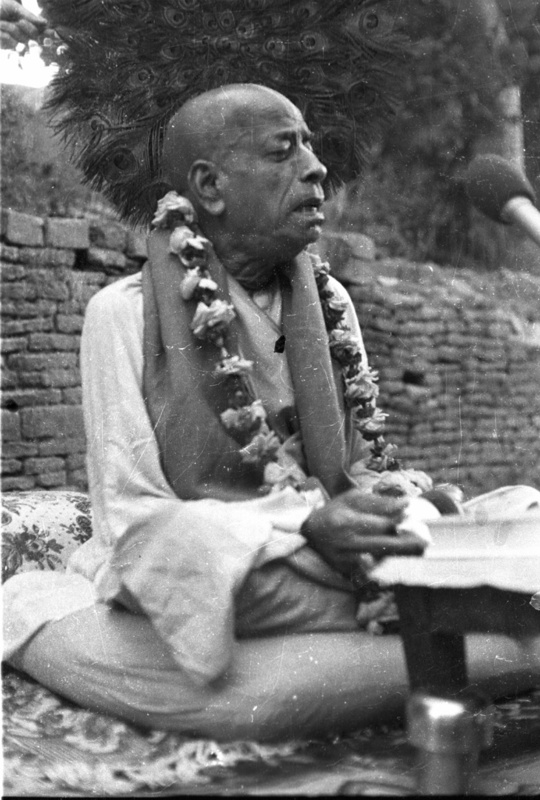 He would then circumambulate the samadhis of Jiva Goswami and Rupa Goswami. At 10:00 he would go and take darsana of the other temples of Vrndavana, purchase vegetables and return by 11:00 to cook. Using a kerosene burner and a three-tiered cooker, he would prepare rice, dahl, potatoes, chapattis and subji. He would eat once a day and take some hot milk at night. 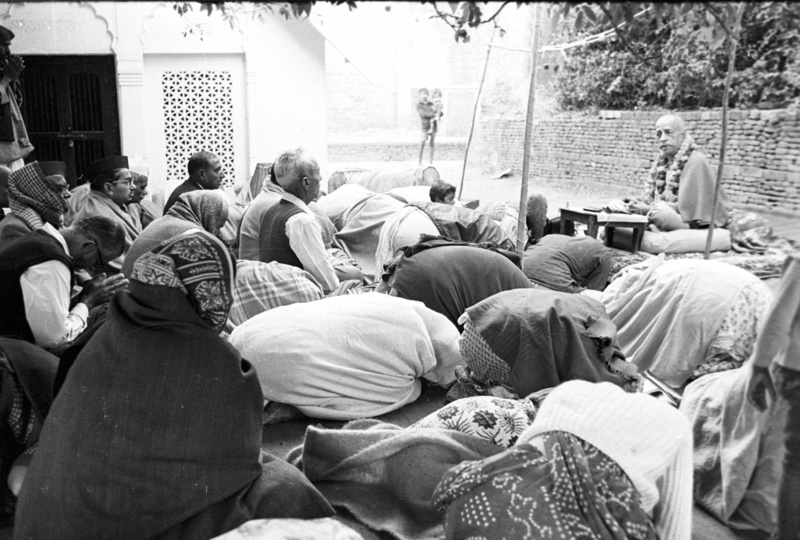 In the afternoon he would rest for 15 minutes and resume his writing after honoring Radha Damodar Raj bhoga prasadam. From his kitchen he would gaze out of the small window into the courtyard where Rupa Goswami’s samadhi mandir is situated. 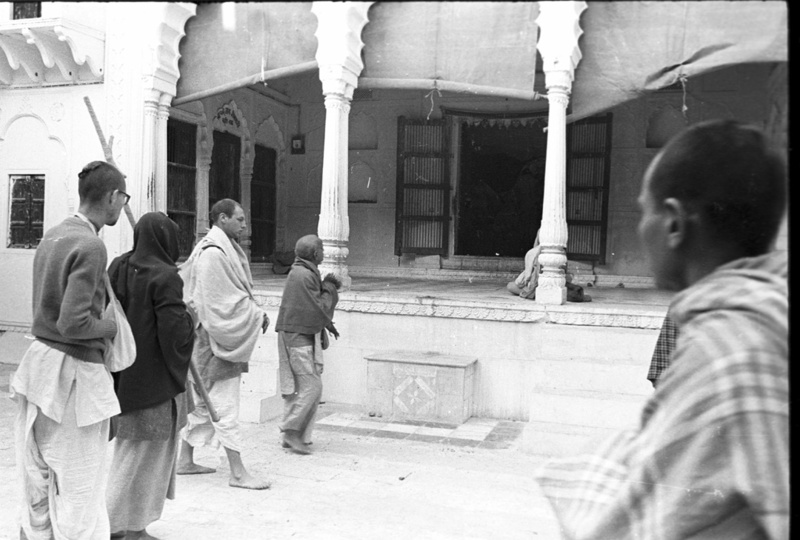 He later said that he received great inspiration from Rupa Goswami and that his plans for spreading Krsna Consciouness were formulated during his years at the Radha Damodar Temple. 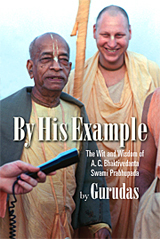 Guru das watched Prabhupada laughing while reading his Krsna book. 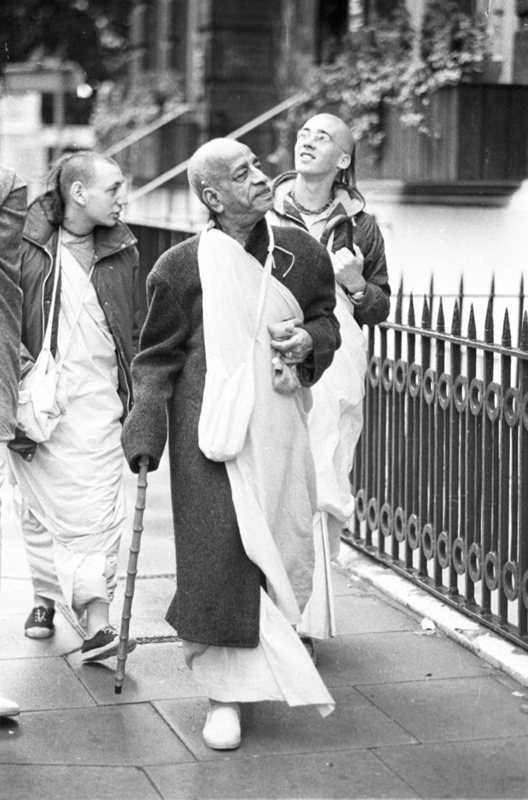 Srila Prabhupada, Please accept my humble obeisances at your lotus feet Your Divine Grace. My words cannot begin to show my gratitude for all the things you gave this world. Anyone is fortunate enough to be able to have the association of Krishna’s pure devotee, THE guru who lives in His books. Inspired by your association, your global movement continues to give birth daily to billions of sound incarnations of Radha-Krishna, 24/7/365. They are dancing round the universe and purifying it. You said when we chant Hare Krsna, the Divine Couple personally appear. It does not get any better than that, to be in the presence of Krsna, being purified by His Personal Association. I’ll try to put it down in print. 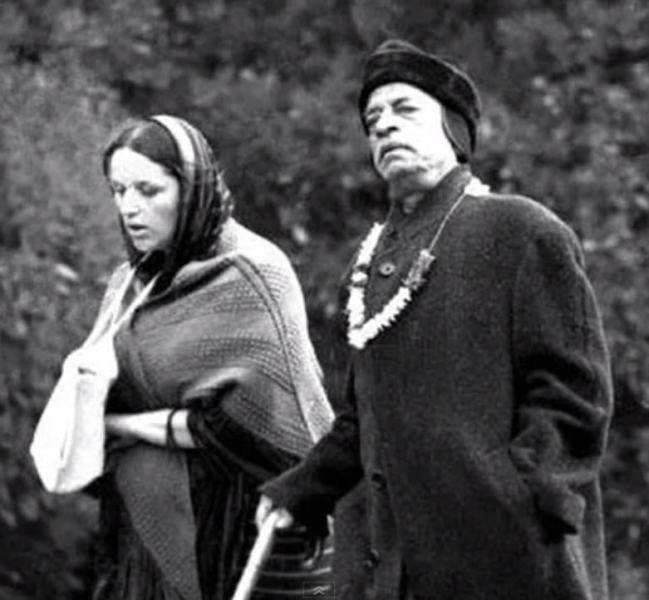 It was at Bhakitivedanta Manor in England 1993. 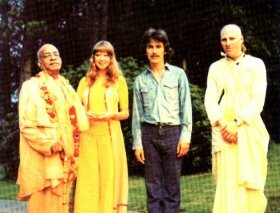 The first Prabhupada reunion they had. So it was the first time the original devotees who went to England met up for the first time for 10 yrs. or more. Malati, Shyamasundar, Guru das, Mukunda Maharaja and alot of old Prabhupada disciples who had alot of association with Srila Prabhupada in England. We had set up a large stage outside so everyone sat on the grass in the cow field. My service was decorating the stage to give it a more transcendental appearance. So I was a bit tired and sat at the back of all the devotees with my friend Bala Gopal to the left of me and my daughter, Sri Gandhari to the right.